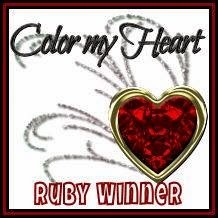 Inky Hearts Papercrafting: Simply Fundamental Scrapbooking! Hello everyone! 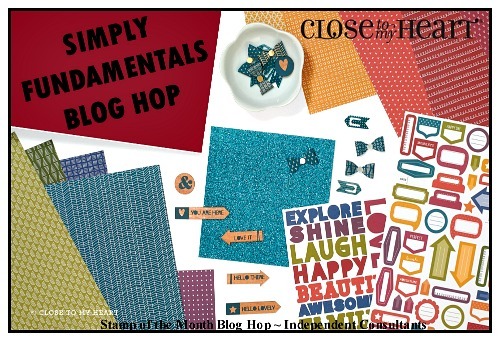 Welcome to our special blog hop celebrating Close to My Heart's "Simply Fundamental" special this month! If you arrived here from Priscilla's Paperie, you're on the right track. If you get lost along the way, you can find a complete list of hoppers here. For my project, I wanted to show you how quick and easy it is to take some of the Fundamentals products from the bundle, add a few stamps, and create a simply darling card! 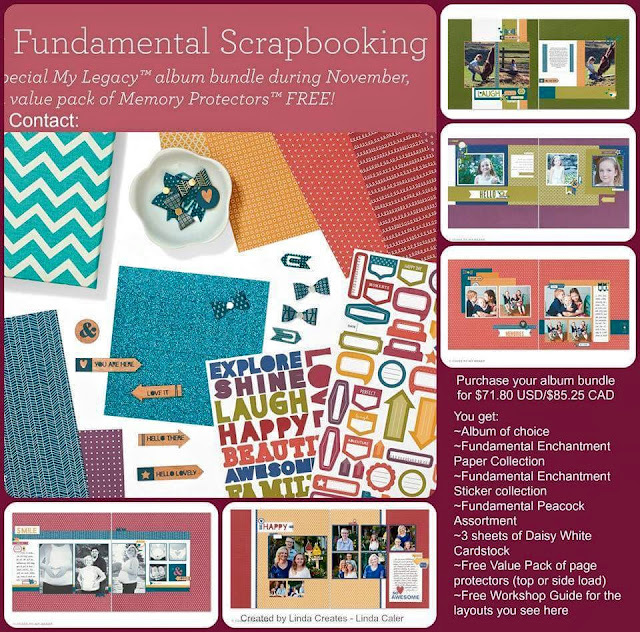 In addition to the Fundamentals Paper, I used the Operation Smile Animal Greetings stamp set, as well as the B1489 Joyful Garland Hostess Rewards stamp set. I also added a bit of bling with our fabulous White Shimmer Trim. 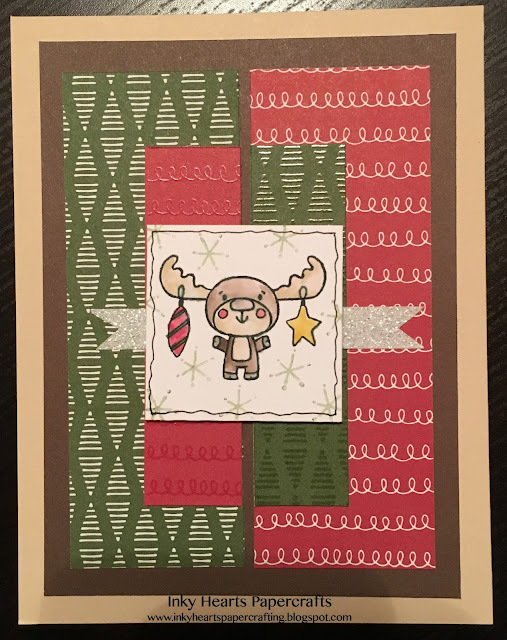 To color that adorable little moose, I used the Blending Pen to pick up color from the lids of my stamp pads so the colors would perfectly match the Fundamentals papers. 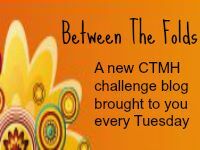 Now, hop on over to Gina Brandstetter's blog to see what she's created for you! Thanks, Lela! He's an adorable little Chris-moose! So cute! Love that moose. Cute card - love the flip-effect for showing both sides of the paper.